We talk where Funko is going in 2019 and make some wild guesses. Rick and Piper are back and excited to talk about what’s in store for Funko in 2019. This episode is filled with predictions, hopes, dreams, potential nightmares for Funko in this upcoming year. The team talks about weekly pickups, announcements, freeing birds from prison, opinions of Pez and all the Funko News you can handle. Participate in the discussion on social media on Facebook. Join the PCA next week when we discuss what Funko should do in 2019. You can pickup the new Specialty Series Alien 40th Anniversary Blue Metallic Xenomorph. You can use the coupon code PCAALIEN to get an additional 10% off. Promo code is good through Tuesday 1/15/19. 2019 PCA Content Calendar was released on Facebook and in Newsletter will begin this week. links to awesome PCA merchandise and our monthly Newsletter giveaway! today on and auction will be held in the Facebook group Great stuff available. Reminder there are still open invoices from the first auction. PCA fan of the week begins this week. Weekly winners will be announced every Friday. 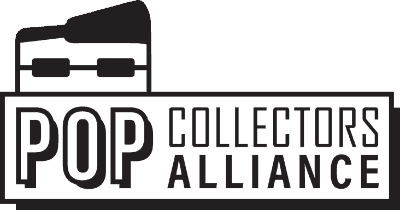 To win just participate in the discussions, be active on social media, and be an all around great ambassador of the Pop Collectors Alliance. The post EP044 – Where Will Funko Go In 2019 appeared first on AstroPanda.